When choosing a coach, you want one who has been there… and done that. It doesn’t matter if a coach actually was a pro, or even a good athlete. However, it matters what that coach knows, how many years of experience, how well he/she communicates, and whether the coach is curious to know more. I have over 20 years in PROFESSIONAL endurance sport. Outside of certification, which I am completing, I have years of EXPERIENCE. Part of the advantage of being a professional athlete first is the amount of time a pro athlete can spend with WORLD CLASS coaches. I’ve worked with the top coaches in triathlon today. I learned from the best ITU, Ironman, UCI and development coaches. 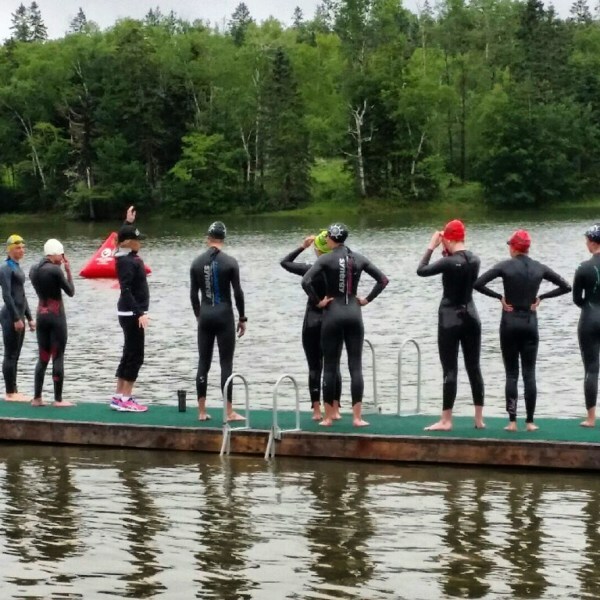 This wealth of experience has shaped my approach to triathlon coaching. As a successful self-coached athlete (albeit strongly advised and influenced by coaches like Houshang Amiri, Cliff English, Joel Filliol, Lance Watson, Kelly Guest, and Joe Friel’s book) for every major title of my career including XTERRA World Champion, ITU Cross Tri World Champion, Ironman 70.3 Champion, Challenge Champion, Canada Cup XCO Mountain bike winner, BC Bike Race winner, TR3 Champion, BC Triathlon Series Champion (haha!! just making the point that I’ve been there… done that… even in some ITU draft-legal races). I’ve completed NCCP Level One cycling and Level 2 triathlon coaching through Triathlon BC but really all of that certification is meaningless in comparison to the years of training with and under great coaches. Don’t be fooled by inexperienced coaches touting weekend “degrees”. Experience counts for everything. One certification I am proud of is my PMBIA Level One certification – Professional Mountain Bike Instructors Association. 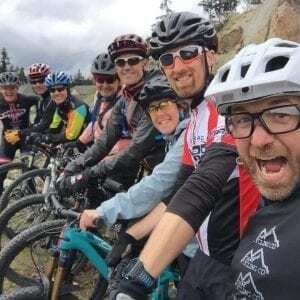 This is the gold standard of skills based mountain bike coaching and I completed this certification in 2018. I’m a lifetime student of sport. My science degree (chemisty and biochemistry) taught me to think analytically. My career is entirely documented as a gigantic science experiment on how to optimize female performance over time towards shifting goals. I have complete training logs and physiology from the late 1990s. Using a record of everything I’ve done since training with the National Cycling team, I taught myself how to train myself and others to optimize potential. When I started in XTERRA there were NO COACHES that understood the sport. Learning how to train (coming from cycling) was an invaluable experience. Taking what was relevant from great ITU coaches, it took two years in triathlon before I started finishing first or second in nearly every race for a decade (before turning my attention full time to Ironman). Self coaching was only successful because I could access advice, mentorship, and education from amazing coaches. Every coach has learned from someone. I believe I understand how to train for offroad triathlon as well as any coach in the sport but I gained that knowledge by actively pursuing the knowledge from others. In 2012 I decided to learn everything I could about IRONMAN, to ensure I could serve any triathlete who turned to me for advice. I asked many coaches about their philosophy, tried a variety of approaches, and along the way learned for myself what it is like to come back from a devastating injury. This type of experience is worth more than any coaching course could possibly offer. I can thank Kelly Guest for the guidance in the “injury comeback” department. There is a lot of mental coaching required for athletes going through this and that experience is priceless. I finished Level 1 NCCP cycling certification in 2001 in while working with and mentoring under Level 5 coach Houshang Amiri of www.pacificcyclingcentre.ca. I have enormous gratitude towards Houshang for teaching me about periodization, specialization, individualization, and long term athlete development for cycling. I would not have had elite professional results past 40 years old without the knowledge and experience I gained working with him. In 2014 I began mentoring with Kelly Guest, arguably the best junior development coach for triathletes in the country. Kelly’s superpower is communicating technique in all three sports, a key component to long term success. Learning from Kelly, and adapting these techniques for “mature” athletes, had formed my approach to adult triathletes. Since my start in coaching, I have coached athletes to age group titles in XTERRA, ITU World Championship titles in cross triathlon, strong finishes in multi-day mountain bike races, and personal best splits and finish times in both half and full Ironman races including the Kona World Championship.